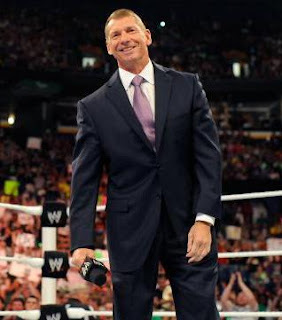 Monday Night Raw celebrated the 1,000 episode on July 23, 2012. This episode starts the permanent 3-hour format to been seen from now on Monday nights. The weekly professional wrestling program debuted on January 11, 1993 and was created by Vince McMahon. Vince McMahon speaks on the 1,000th episode of Monday Night Raw! To celebrate the 1,000 episode, WWE.com created a list of the greatest matches in RAW history. The list was written by John Clapp, Tom Herrera, Howard Finkel, Zach Linder, Bobby Melok, Ryan Murphy, and Kevin Powers. The top three matches on RAW are listed below. Photo Source: © 2012 WWE, Inc. All Rights Reserved.